How are stalactites and stalagmites formed in the caves? Don’t they look splendid? Didn’t you ever wish to have some of those beautiful creations in your home? Here is the chance! 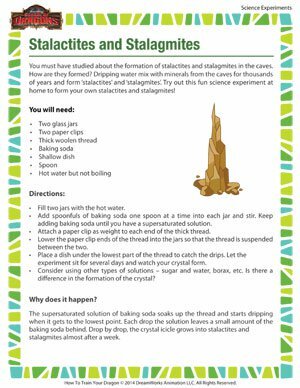 Conduct this experiment to make stalactites and stalagmites on your desk and check out a whole lot of other exciting science experiments like these. Adult guidance is advised in this science experiment.